Campus Facilities strives to maintain sustainability on campus throughout the school year including in the winter when de-icing campus becomes a priority. 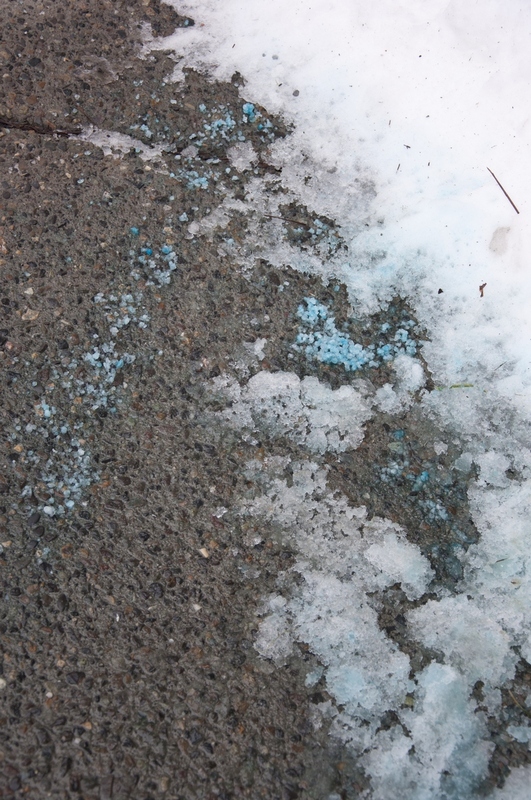 Ice Fighter Plus, produced by Morgro Inc., is the blue-green salt covering sidewalks and surrounding snow on campus. TRU has been using the product for five years. 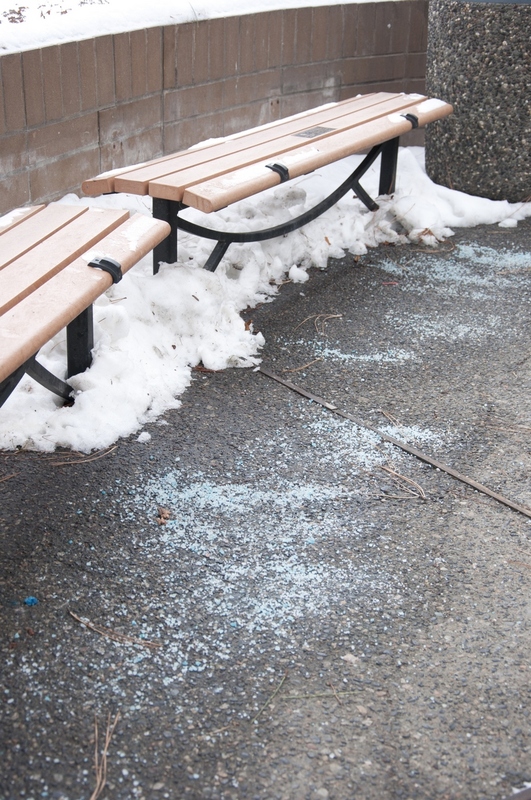 It was deemed the best option by staff that distribute ice melt on campus, after testing several different samples of environmentally friendly ice-melt products. Warren Asuchak, associate director of facilities, is responsible for the de-icing efforts on campus. Campus sustainability is one of the eight core values of the university. TRU formed an Environmental Advisory Committee in 2008, consisting of three full-time, paid members and a total of 17 staff, student, faculty, and administration representatives. The committee then created a Campus Sustainability Action Plan, which outlined goals for TRU through to 2012. “I work very closely with Tom Owens [director of environment and sustainability] throughout the year to ensure TRU is maintaining its commitment to environmental sustainability,” Asuchak said. Morgro Inc. manufactures four different types of ice melt as well as lawn and garden products. Ice Fighter Plus is the only ice melt that inhibits freeze thaw/damage on concrete, meaning that it won’t crack and erode. The bright colour of Ice Fighter Plus was also a factor in choosing the product. Morgro Inc.’s website states “it is the over application of ice-melting products that are the major cause of damage to plant life.” The bright, non-staining color reduces the risk of over-application. The website further explains the common chemicals found in ice melt, magnesium chloride and calcium chloride, are hydroscopic, meaning they draw moisture from the air, plants, and soil, causing burning of surrounding vegetation. Updated: Jan. 14, 2013, 11:05 a.m.